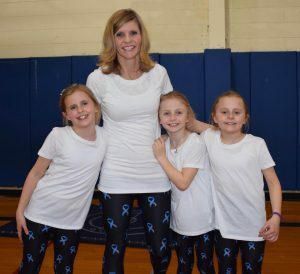 More than 40 students from Mills Pond Elementary School in the Smithtown Central School District came out to support their fellow classmates and those affected by juvenile type 1 diabetes during a fundraiser held in the school’s gymnasium on March 20. 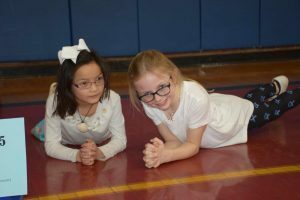 Organized by the school’s Cares Club, which consists of third-graders, the boot camp fundraising event invited fourth- and fifth-grade participants. 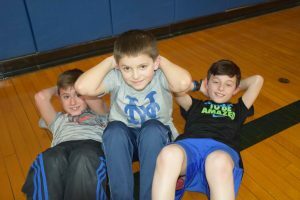 Rotating through different stations, along with teachers, club advisers and parent volunteers, the students participated in a fun cardio workout featuring lunges, push-ups, planks, dashes, squats and sit-ups. The event raised $715 for the cause. 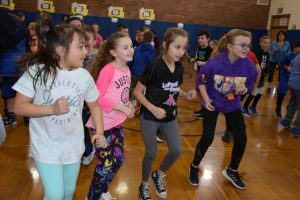 Photo caption: Students at Mills Pond Elementary School in the Smithtown Central School District broke a sweat during their boot camp fundraiser for juvenile type 1 diabetes on March 20.